Climb up to a better vantage point! 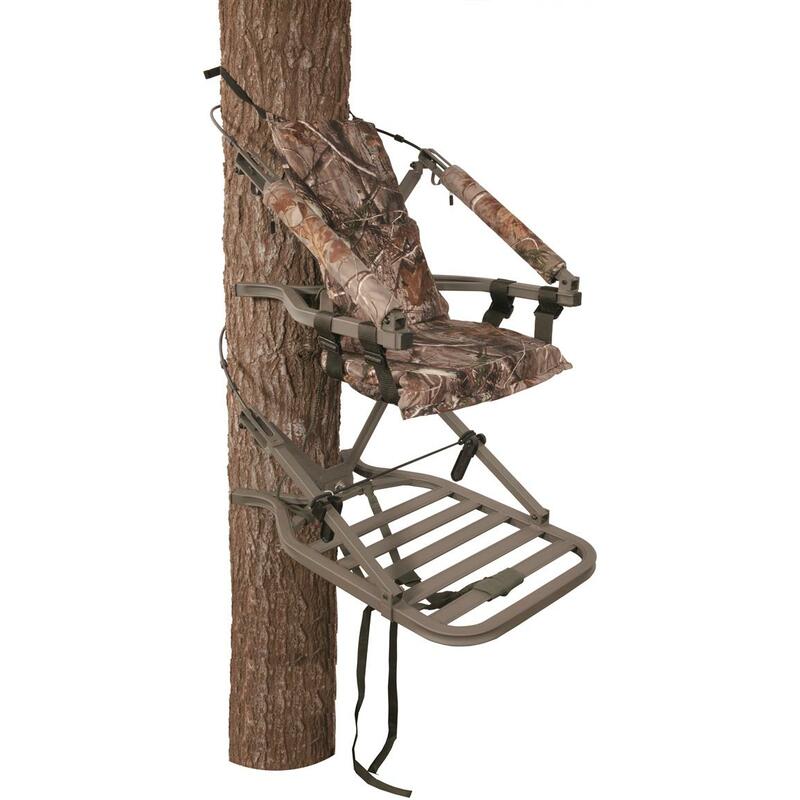 This Summit Explorer SD Open Front Tree Stand is the new standard by which all other climbing stands will be measured. Lightweight but sturdy aluminum construction, folding climbing stirrups, and a host of other advanced technologies combine to create a stand that's comfortable, easy to carry, and even easier to set-up. Seat dimensions: 18"w x 12"d.
Platform dimensions: 20"w. x 28.75"d.